Captain Bailey's name originally appeared in the Roll of Service element and not the Roll of Honour element of the Jersey Roll of Honour and Service, this being due to the simple fact that the Roll was published in late-1919 and that he did not die until 25th June, 1920. Regardless of this, his name does not appear on the Commonwealth War Grave Commission's Debt of Honour Register. 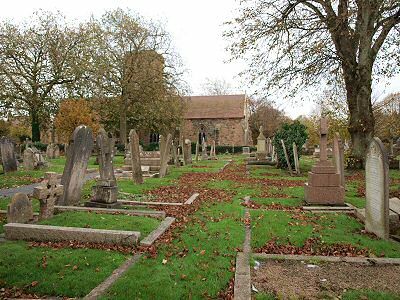 That Captain Bailey had died in 1920 was discovered by Group member Roger Frisby purely by chance in November, 2008 when looking at headstones in St Saviour's Churchyard in Jersey. Initial investigations showed that he had relinquished his commission on 1st April, 1920, less than three months before dying, although it is likely that he was at home in Jersey for the preceding one or two months on demobilisation leave. It was thus possible that his death, so soon after leaving the army, might be as a result of his service. Recently, with the help of the Jersey Evening Post and BBC Radio Jersey, the Group has sought information that could potentially support Captain Bailey's commemoration by the CWGC. A family member has provided a considerable amount of excellent information and this, coupled with copies of his service record from the National Archive at Kew, should help form the basis of a request for commemoration. A more detailed account of his service life will be added to replace this item in the near future. The CWGC has now accepted his name for inclusion in the CWGC Debt of Honour Register (June 2011). 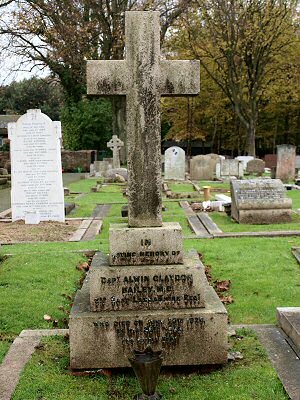 Captain Alwin Claydon Bailey, M.C. 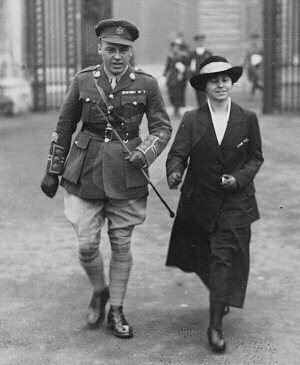 In the meanwhile, the accompanying photograph shows him and his sister Gwen, on 5th March 1920, leaving Buckingham Palace after attending the investiture ceremony at which he was presented with his Military Cross.